A 71-year-old psychologist has a message for women of her generation: "Happiness is a choice and a set of skills." She lays out the road map. Mary Pipher, psychologist specializing in women, trauma and the effects of our culture on mental health. Author of several New York Times bestsellers, including "Reviving Ophelia," "The Shelter of Each Other" and "Another Country." Washington Post: "A new book promises to help women find joy late in life. If only it were so simple." — "A respected clinical psychologist, Mary Pipher is best known for her 1994 bestseller, 'Reviving Ophelia,' an astute consideration of adolescent girls. Now Pipher uses her skills to help us older girls — the 60-and-up set — women who in Pipher’s words are navigating the 'last stretch of the river with its treacherous currents.' 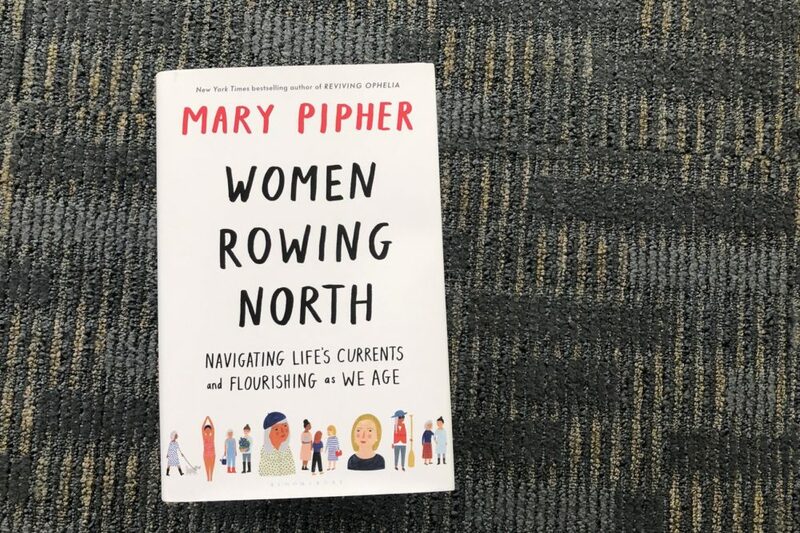 Despite the nautical cliche, the early pages of Pipher’s new book, aptly titled 'Women Rowing North,' are encouraging and useful (if somewhat obvious): Resilience is key to aging well; age is less important than health; 'happiness doesn’t come easily'; saying 'no' can be powerful. "Pipher says hers is not a 'how to' book, but a 'how to think' book, which is a promising approach. Unfortunately, however, too many of her sentences sound like certainties or dictums. 'We older women are uniquely suited for community work,' she writes. Others deflate into platitudes: 'When times get tough we want to buy ourselves roses or chocolate bars.' "
"And while Pipher’s habit of using 'we' proffers inclusion, it’s also assumptive — clumping together all women’s responses to aging and illness without regard to differences in temperament or economic realities. While Pipher and women she knows can afford trips to New Mexico’s Ghost Ranch and camping adventures in the Rockies, millions of others can’t afford a taxi ride to the doctor’s office." This program aired on February 1, 2019.